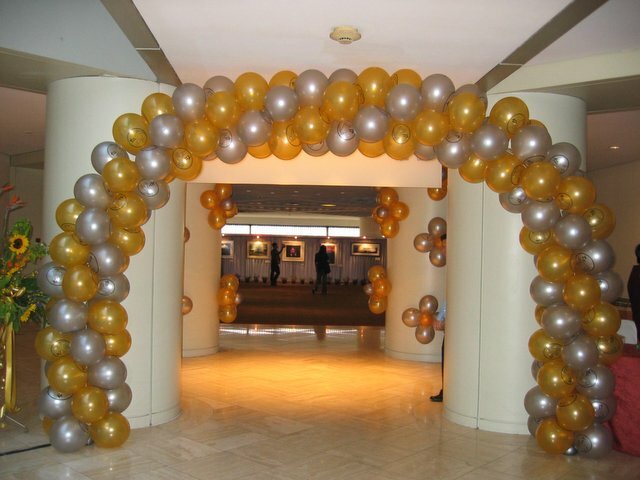 Ze Balloonz is a company of mine as well, and we specialise in large scale decor. However, we also do small scale ones! Asked to dress up the pillars, we opted to put flower cluster all around the pillar! If you would like to have something similar at your event, it is just $80 per pillar with flowers spiralling up like below! This was from Renci Hostpital's Gala Night! Lovely balloons for a great cause...They actually really give the money to their patients by provided free or very subsidized treatement! 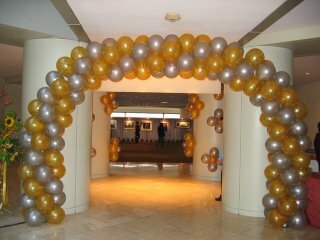 This is a large entrance arch that fronted the entrance, also using Renci Hospital's logo balloons. If you want to print your own logo on balloons, it is not too expensive! 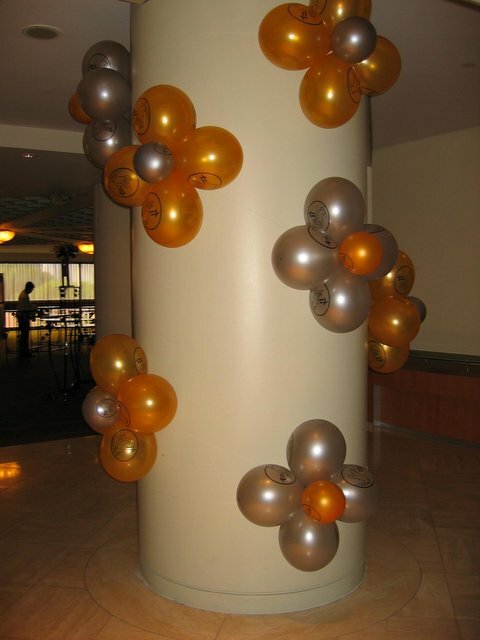 Just $250 for 1000 balloons, assorted colours or one colour, you choose! The logo will be printed on both sides of the balloon, so that no matter how your balloon is being held, you can still see your logo! Want your logo to be printed on 1000 balloons? Email me! Or you can call me at 62782717.